1.Single-cycle (single end), tube amplifier, working in class-A. 4.Absence of the capacitors in the signal path. 5.The output stage transistors on a specially made 845. Kenotron voltage rectification and filtering of the throttle and reduce the background buzz and provide an excellent dynamics. 7.Used accessories of the highest class. 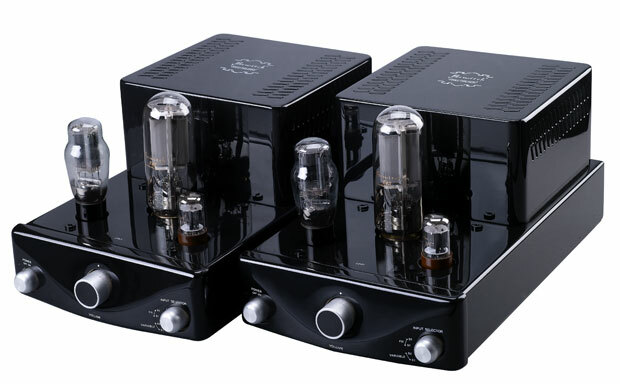 8.Manual assembly, testing and adjustment of each amplifier. 9.The front panel is covered with several layers of lacquer grand piano. Robust steel 2mm seamless chassis ensure excellent electromagnetic shielding and structural strength. Input connectors: Gold-plated RCA connectors, 2 groups (S1, S2) on the rear panel.